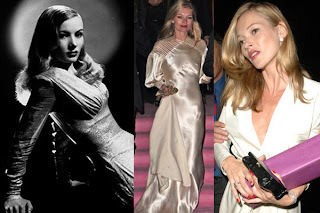 On several occasions, Kate seems to channel 1940s siren Veronica Lake for her evening look. Apart from the classic champagne-colored slinky gowns, deep red lips and nails, Kate completes her look with Veronica's signature peek-a-boo bang hairstyle. Marianne is the whistle-blower of Kate's whole operation, and I suppose you can see where Marianne would think Kate was copying her a bit. I know a lot of people thought after news broke 'well a lot of people dressed like Marianne so it wasn't only her style.' I suppose that is correct, but Kate was friends with Marianne and apparently went through a pretty noticeable transformation for Faithfull to take note. I doubt she would make things up for nothing. 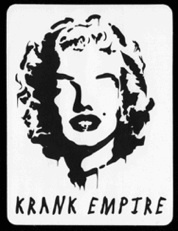 Toward the end of their friendship, Kate did color her blonde hair to more of the honey shade Marianne had in the sixties, along with cutting blunt fringe that Marianne also had. Even if you don't agree that the look Kate was emulating was solely Marianne's, you have to admit that she was definitely an influence. 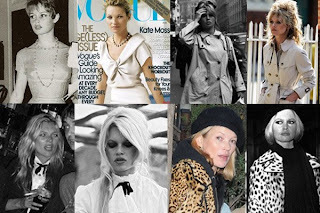 The only person on this list that Kate has admitted to looking towards, Brigitte Bardot has been a strong influence of womens fashion for over the past half-decade. Kate was inspired enough by Miss Bardot that she even wore an uncharacteristically-tailored wiggle dress on the cover of Vogue, a look that was very remniscent of Bardot's look in Une Parisienne. Marianne Faithfull's partner-in-crime, Anita Pallenberg, seems to inspire both the lifestyle and gypsy-ish tendencies of Kate's style. Modelling career, check; rockstar boyfriend, check; dalliances with drugs, check; very mini mini minidresses, quadruple check. Britney Spears The most glaringly obvious one on the list, I'd say. 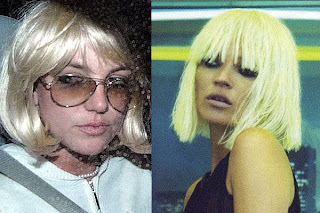 Its ridiculous how apparent Kate Moss is trying to steal Brit Brit's look, going so far as to rock the same peroxide pageboy hairstyle that Spears had after she pulled a Sinead O'Connor. Okay, I'm immature.